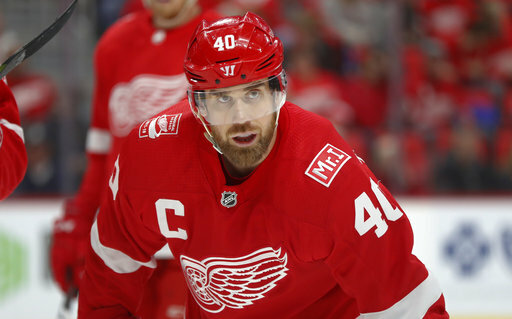 DETROIT (AP) — The Detroit Red Wings and Henrik Zetterberg say his professional hockey career is over due to a back injury. The team and Zetterberg made the announcement Friday at the team’s training camp in Traverse City, Michigan. Zetterberg will go on long-term injured reserve with three years left on his 12-year, $73 million contract. The 37-year-old Swede will continue to be paid and the team will get some $6 million in salary cap relief. Zetterberg helped the Red Wings hoist the 2008 Stanley Cup, winning the Conn Smythe Trophy as the top player in the postseason. He had 337 goals and 960 career points over 15 seasons and regularly was a candidate for the Selke Trophy honoring the NHL’s best defensive forward.